Contact United Utilities on their customer service phone number 0345 672 2888 for general enquiries about your water supply. For instance you can call this helpline to set up an account at your new address, for changing the date of your direct debit agreement and to query a charge which has been applied to your bill. The United Utilities customer care line 0345 672 2888 is open 8am-8pm Monday-Friday and 8am-4pm Saturday, however this excludes bank holidays. Calls to this national number are charged at the same rate as phoning local UK numbers which start with 01 and 02 area codes, which means you will usually pay an access charge followed by a per-minute rate set by your provider. However if you get inclusive minutes as part of your tariff you can use this instead to contact United Utilities for free. Phone United Utilities from outside the UK by calling their international helpline number +44207 197 0197 to open a new water account from abroad. Here you can also request an engineer to remotely turn off the water supply at your address if you suspect that a leak may have developed in your absence or you left a tap running on your property. Contact United Utilities on their general enquiries phone number to set up a new business account and to manage your existing company water supply. For example if your business has changed ownership you may call this helpline to change the signatories on your account and to update your correspondence. You should also phone this number if you suspect that you have been overcharged on your business water bill so that you can receive a refund. Call United Utilities on their telephone contact number 0345 672 2999 for all enquiries relating to your water meter, including installations and upgrades. You should also call this number for technical support if you suspect that your water meter is giving false readings which may be adversely affecting your bill. If you believe that fitting a water meter on your property will lower the cost of your bills then you may call this helpline to get one installed on your premises. 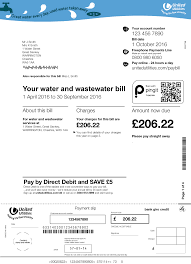 Contact United Utilities for free by dialling their freephone number 0800 980 6050 to pay your water bill and check the current balance of your payments. This is an automated line which is open 24 hours per day, seven days a week. Alternatively if you are experiencing difficulties paying your water bills you should consult an advisor on their confidential advice line 0800 072 6765, which is also free to call from all UK helplines. Phone United Utilities on their local-rate contact number 0345 026 7661 to notify them that you are moving out of their catchment area and therefore you wish to close your account. Similarly if you are moving home into their supply area you can dial this helpline to set up bills prior to your arrival. If you are uncertain of whether United Utilities will provide your water services you can visit their website to confirm their catchment area. Phone United Utilities on their bereavement helpline number to contact an advisor for support following the death of a loved one. You may use this service to either close their account or change it to the name of the individual(s) who will move into their property. Their trained team will provide advice on which details are needed from the death certificate or final testament as required. Phone the United Utilities emergency contact number 0345 672 3723 to report problems on your property which may include blocked drains, burst pipes and a drop in water pressure. Likewise if your drinking water is discoloured or has a strange smell then you should call this helpline to report the issue. Alternatively if you find a leak in public property such as a road or pavement you should call their dedicated pipe emergencies team using their contact number 0800 330 033. Both of these helplines are open 24 hours per day, seven days a week including most UK bank holidays. United Utilities recognises that it may not be convenient for their customers to call their help-desks during the day due to work commitments, hence they offer email and postal addresses so that you may contact them in writing. Moreover they use social media profiles to notify customers of problems with main pipes and to promote changes to their billing structures. You may fill out the comprehensive web form available on the United Utilities website to send emails to the utility company about your water supply. For instance you can use this service to query a change in your water bills and to notify their agents that you are making a change to your regular direct debit payments. You can message customer service advisors from United Utilities by posting on their various social media accounts, where you can also get updates on water emergencies and changes to their billing structure.